John flew into a rage. He took the tray of food set in front of him and tossed it into the air. Food, drink, plates and utensils went flying in every direction. He let a string of colorful language fly and strutted away in a rage. I got to thinking about how addicted we’ve all become to our electronic gadgets. Whenever I am out at a restaurant, walking through a town or city, party or other social event, everyone seems to be glued to their little screens. Don’t get me wrong; I love technology. I use it all the time. In so many ways, it makes life easier. But I hate to see the way in which we have become disconnected to each other and ourselves. We all have much to lose by becoming slaves to our current technology. One valuable gift is our intuition. I believe that as human beings, we all have this wonderful asset. It’s something that helps us to innately know which course of action to take, when to trust someone and when we might be headed into danger. Intuition causes us to be empathic when a loved one might be hurting or in trouble. The way we access intuition is through listening. One of the great liabilities of smart phones is that we are losing our ability to listen. There is a very seductive quality to these little toys. I find myself having to fight being hypnotized by all the bells and whistles. There is a serious part of ourselves that is getting weaker and dumber the more we are tied to these devices; it’s our ability to listen and to interact with the rest of life. In being constantly stimulated, there is less and less need to seek interaction with others. Please excuse me while I digress for a moment. Mobile devices can also be bad for your health. In a recent article in South Source, a publication of South University, author Darice Britt noted that a study by the Centers of Disease Control and Prevention in the US found that 69% of drivers in the United States ages 18 – 64 reported that they talk on their cell phones while driving and 31% of US drivers ages 18 – 64 have read or sent text messages while driving. In Europe, the rates went from 15% is Spain to 31% in Portugal. The study also showed that younger inexperienced drivers under 20 years of age are at greater risk. While there is great debate about the probable dangers to our physical health from cell phones, there is growing evidence that it is not good. In the US, the FCC (Federal Communications Commission) utilizes a scale called SAR (Specific Absorption Rate) for cell phones. It is a means of measuring the RF (radiofrequency) energy absorbed by the human body. Many researchers believe that high levels of RF can disrupt the cell function and structure in the human body. In the US and other counties, phone manufacturers are now publishing the SAR ratings for various phones. Some of the guidelines suggested for safe use of cell phones includes the following: to text instead of talk, use the speaker phone instead of holding the phone to your ear, keep the phone off of your body and turn it off when not in use. It occurs to me that we are losing our ability to relate to each other. We are losing part of what makes us human. I’ve found myself being seduced by the wonders of this technology. I’ve found myself wasting a growing amount of time and distracting myself from important things, like visiting friends and loved ones. So I decided to try an experiment. I started taking one day off from technology. It felt so wonderful, I added a second. I intend to add more days. The entire contents of this article, photos and column is copyright © 2015 by George Koury. No part of this may be used without written permission from him. 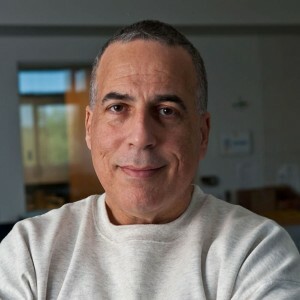 For more information about George and his services, visit his web site – http://www.spiritlovesyou.com.